Crested Butte is considered one of the last great ski towns. It’s not as easy to get to as some other Colorado resorts, but once you do get here, you’ll be rewarded with fewer crowds and legendary terrain. A great feature of this mountain is that, for the most part, the terrain is grouped together by difficulty. Extreme skiers have their section of the mountain, while beginners can concentrate on a different area. It makes for a more enjoyable experience for all abilities. Crested Butte is also a perfect destination in the spring, summer, and fall. Read more about what to expect by clicking here. More than half of the 1,500 skiable acres is geared toward beginner and intermediate skiers and riders. But don’t despair experts! The 17% of the terrain that is advanced skiing will easily wear you out. Crested Butte is known for that expert terrain, as well as its numerous chutes and bowls. It also has two terrain parks - one intermediate and one advanced. Crested Butte offers a variety of lessons - both private and group - for kids (starting at 3 years old), teens, and adults. You can bring your own gear or rent as part of your lesson. Cost: Youth $153 with lunch; Adult $125; book online in advance for the best pricing. Or you can really step up your game by taking a lesson with Olympian Wendy Fisher. She’ll give you expert advice to tackle some of Crested Butte’s best terrain during a private lesson. Cost: 2-hour lesson $475; Half-day lesson $650; Full-day lesson $875. 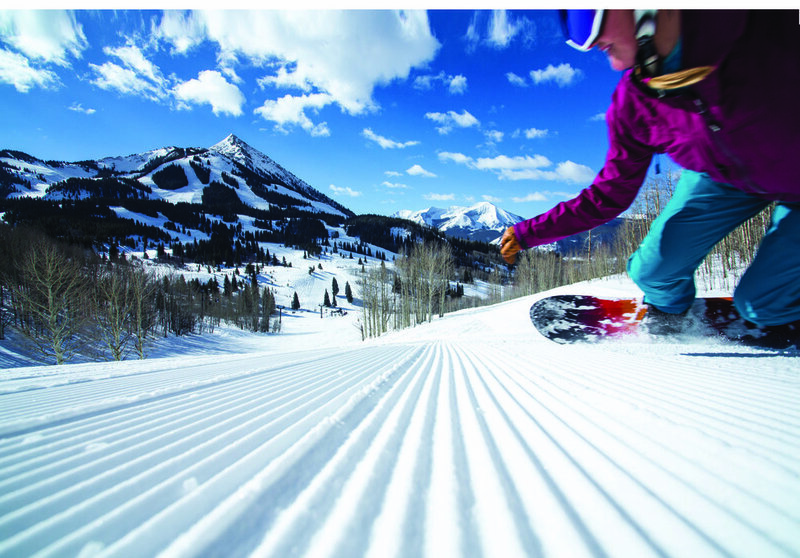 A unique offering at Crested Butte is the Extremes with Ease lesson. It’s a group lesson geared toward intermediate skiers and riders who want to learn the resort’s famous extreme terrain - from the Headwall to Phoenix Bowl. I tried to ski Headwall and barely made it, so I’ll be back to take this lesson! There’s also a North Face guided tour, where you can explore the legendary North Face with an experienced guide. If you just want to explore the entire mountain, there are two, free guided tours daily. The nursery for kids (2 months to 3 years old) offers both half- and full-day options. The Snowy Bear program allows kids who aren’t quite ready for a full-day ski lesson to play in the daycare and also go out for a one-hour private lesson on the bunny hill. I caught a glimpse of my daughter during her Snowy Bear lesson; she loved it, especially riding the magic carpet! KidTripster Tip: Itching for that fresh snow? Crested Butte offers a First Tracks program on select dates. You go out with a guide an hour before the lifts open and then enjoy some fresh coffee and breakfast before meeting up with the rest of the family for a day of skiing. Cost: $50. It’s choose your own adventure at the Adventure Park. With a bungee trampoline, climbing wall, miniature golf, and bag jump, you can buy a ticket for all the activities or just one at a time. Each event has height and weight restrictions, so be sure to check those before purchasing. Fly high above the snow on a zipline tour. Five ziplines will take you up to 400 feet above the resort. There’s a 70-pound minimum, so this adventure is best suited for older kids. Infants and toddlers can explore at the Trailhead Children’s Museum, located at the mountain base. With interactive exhibits like a grocery store, block yard, and dig pit, wee ones are sure to keep busy. Parents who don’t want to pay for the nursery program can ski in and ski out here, taking turns watching the little ones. Crested Butte also has an extensive cross-country trail system at Crested Butte Nordic. It has 31 miles of trails for both cross-country and snowshoeing. It also offers lessons, clinics, and rentals. And the best part is that kids 17 and under are free! Cost: Adult $20. Or head out for the backcountry Yurt Dinner Experience. Cross-country ski or snowshoe with a guided to a yurt for a five-course meal, before trekking back. Yes, you’ll work up an appetite! Cost: Youth $85; Adult $135. Crested Butte also has snow biking, snowmobile tours, snowcat driving experiences, and sleigh ride dinners. KidTripster Tip: Drop the kids (ages 4 to 12) off at the Kids’ Night Out Program. They get to play at the Adventure Park and then have dinner and play games - all while you enjoy some adult time. Cost: $90/child. You may not think french fries belong on pizza, but your kids do! Secret Stash (303 Elk Ave.) is the place for pizza in the town of Crested Butte. Check out these topping choices: tofu, chicken curry, peanuts, and my personal favorite - pickles! From picky toddlers to eat-everything-in-sight teenagers, there’s literally something for everyone here. Plus, the building and all the decorations inside all have a history, which you can read about at your table. The Last Steep (208 Elk Ave.) is another family-friendly option in town. It offers your basic bar food - burgers, sandwiches, wings, salads, and specialty fish tacos - at affordable prices. It also boasts an extensive kids’ menu. For a quick breakfast at the base before hitting the slopes, check out the mountain’s newest spot, Coal Breaker Coffee Co. Grab a breakfast sandwich or stay a little longer for made-to-order crepes. It also serves espresso drinks and ice cream. For bigger appetites, head to Woodstone Grille inside the Grand Lodge (right next to bus drop-off circle). The all-you-can eat breakfast buffet is packed with all your breakfast favorites, plus you can order omelettes and waffles, my husband’s favorite! It also serves dinner and occasionally has special events like beer tastings. A great après-ski spot is Butte 66 Roadhouse Grill. Located upstairs at the base of the mountain, it sports a large patio, which is perfect for people watching. It also has yummy milkshakes - both for kids and adults (read: with alcohol). Another perk? It’s right next to the bungee trampoline, so the kids can bounce while you relax. If the kids are in ski school, and you happen to have some adult time on the mountain, the Ice Bar at Uley’s Cabin is a must. Keep your drinks cold on the bar made of ice while watchingfriends play yard games. At night, Uley’s is open for sleigh ride dinners featuring five French-inspired courses. The Grand Lodge is a surprisingly affordable option, just 100 yards from the base. It has hotel-style rooms plus condos with kitchenettes. You’ll love it for its convenient ski/board valet service, rentals on site, and spa. The kids will love the indoor-outdoor pool and large hot tub! Plus, it has pet-friendly rooms, so the entire family can make the trip. Rates start at $193/night. For a true ski-in, ski-out experience, stay at The Elevation Hotel and Spa. The lift is literally out the front door, and with a ski valet, it doesn’t get more convenient! It also has a kids recreation room, indoor pool, outdoor hot tubs, and steam room. Rates start at $199/night. 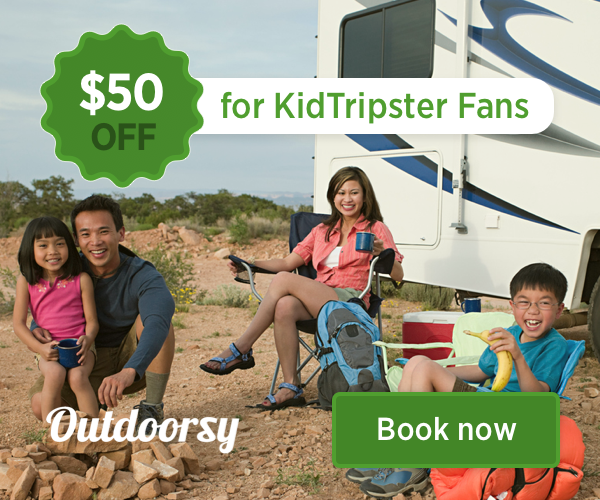 KidTripster Tip: Save money and check online for lodging specials. Some offer free nights and even free lift tickets! Old Town Inn is a family-friendly option in the town of Crested Butte. Situated within walking distance of shopping and dining, this affordable hotel offers a continental breakfast, afternoon cookies, an outdoor hot tub, and a ski shuttle. It also allows pets. Rates start at $119/night. KidTripster Tip: No matter where you stay, getting from the town to the resort is easy via the free town shuttle. And each bus is unique, painted by a different local artist. See if you can spot the cow bus with the tail on the back! Crested Butte is a good 4-hour drive from Denver, but it’s a pretty one! You can also fly into Crested Butte directly from major cities like Dallas, Houston, and Denver. Crested Butte is also a perfect summertime destination. Read more. Journalist Amy Sward lives in Evergreen, Colorado. She has a goal to ski every Colorado resort with her husband and 2-year-old mini skier.